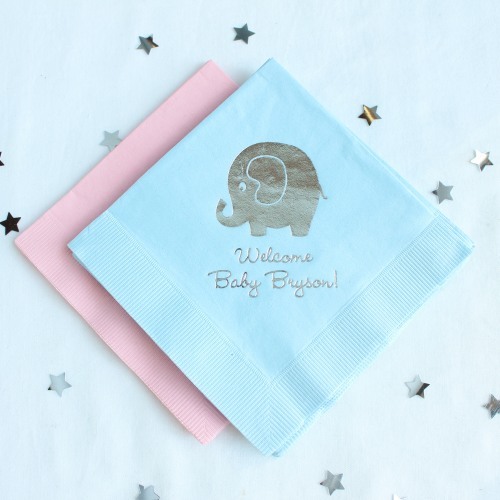 We’ve been loving the idea of an elephant themed baby shower for quite some time now, and today we’ve decided to share a fun spin on the concept — with some of our must-haves for a circus themed baby shower! 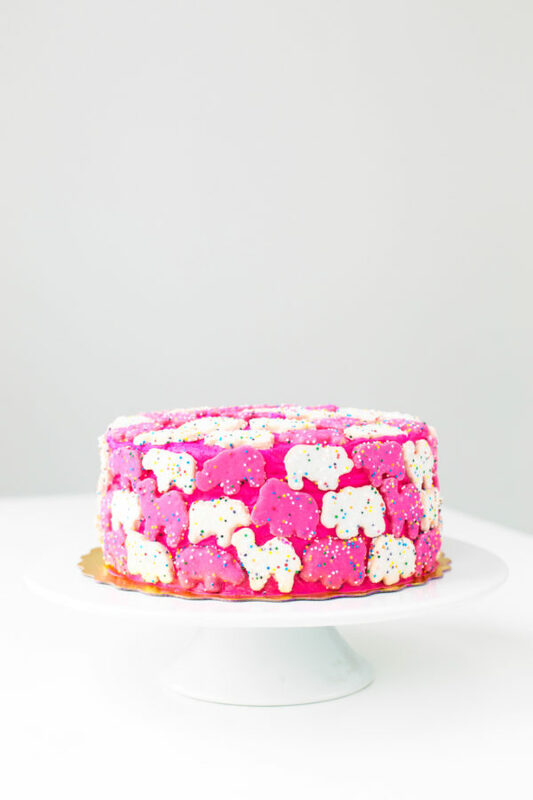 Inspired by animals, bright colors, sweet treats, and the overall concept of fun, take a look at some of our favorite ideas below. As you may have guessed, elephants are by far our favorite of the circus animals. 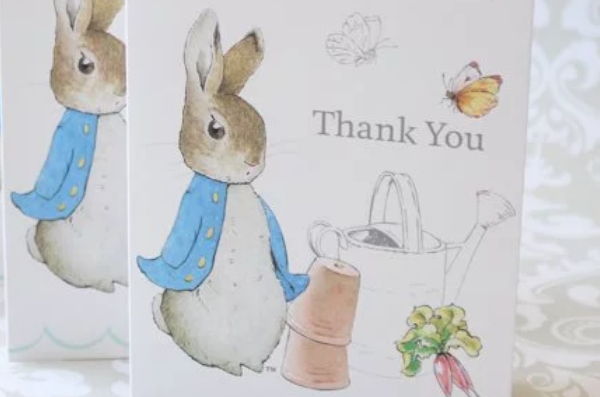 Can you blame us? 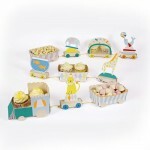 They’re sweet, beautiful to look at, and best of all make the most adorable baby shower addition. Be sure to include them through posters, napkins, the cake or any other way you can think of. 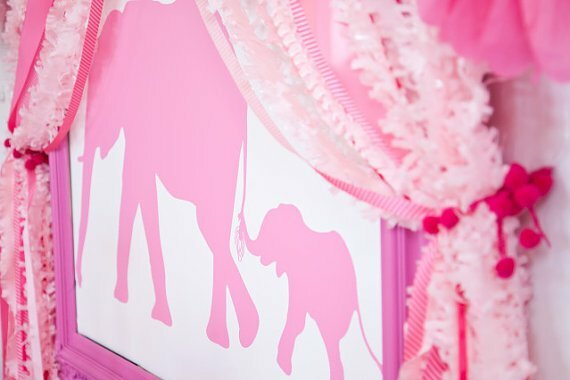 Take a look at our popular elephant themed baby shower post for even more fun ideas! 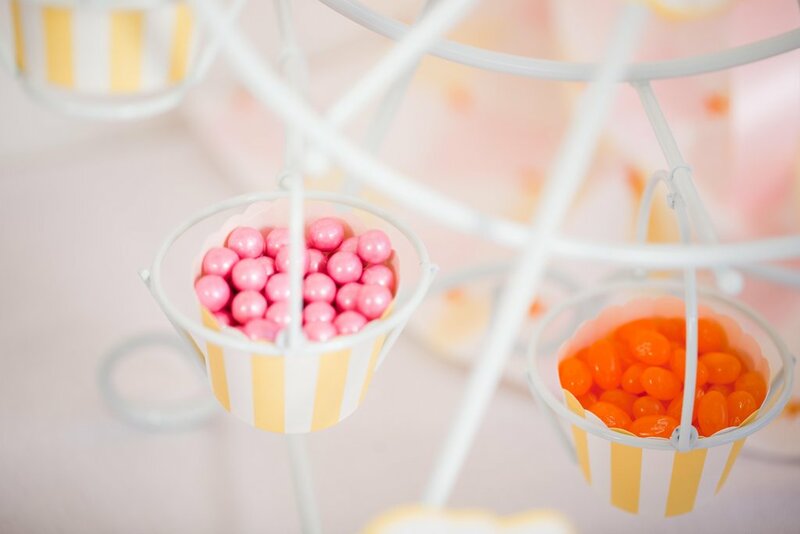 No party or circus is complete with a handful of treats. 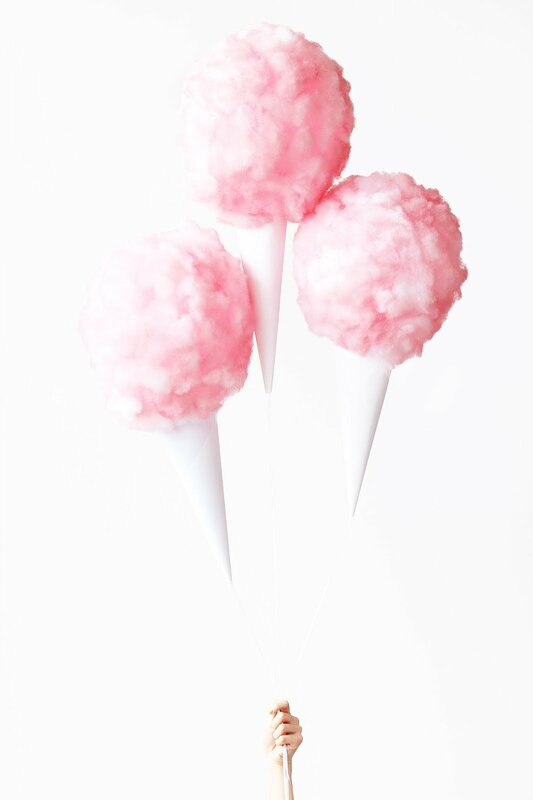 Think candy, cake, cotton candy, peanuts, and cookies! 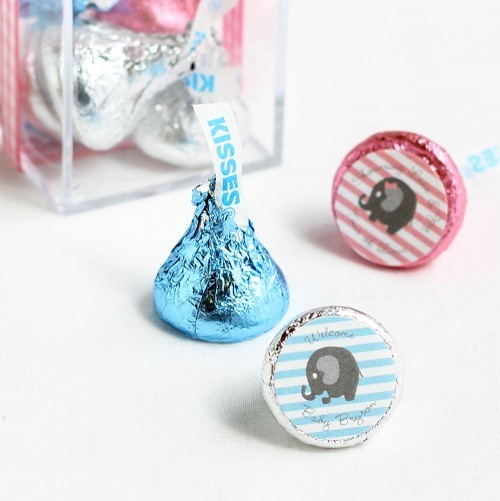 To make the treats even more special, consider opting for items such as personalized Hershey’s kisses, a colorful animal cookie cake, and unique packaging such as a fillable ferris wheel centerpiece. 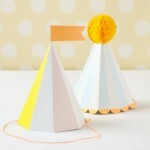 Circus’ are colorful, bright, and exciting! 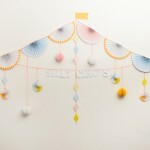 And it’s easy to make a baby shower feel just as fun as a circus through colorful decorations and supplies. 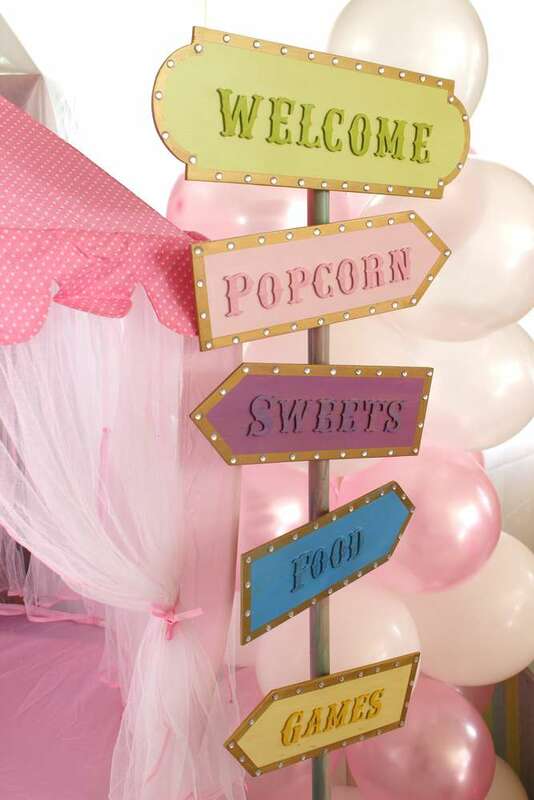 We included some of our favorite ideas above, including a playful sign, a train centerpiece for holding treats, party hats, and DIY cotton candy balloons! What are some of your favorite ideas for a circus themed baby shower?